When I first moved to New York City, I had no idea how long I would last. A couple of months? A year? I was impressed when I realized I had survived 5 years. With my 8th year anniversary just around the corner, I’m no longer impressed. I am exhausted. New York, you have given me bad apartments, bad roommates, and bad romances. Even with the unfavorable experiences, and every New Yorker has their own overflowing cannon, I wouldn’t trade my time in the city for anything. Moving here in my mid-20s allowed me to learn about life. I’ve begun to say I was born and raised in Ohio but that I grew up in New York. This city is where I have become a man; it’s the place that taught me my worth. It’s also where I stumbled onto this little thing called The Importance of Self-Care. 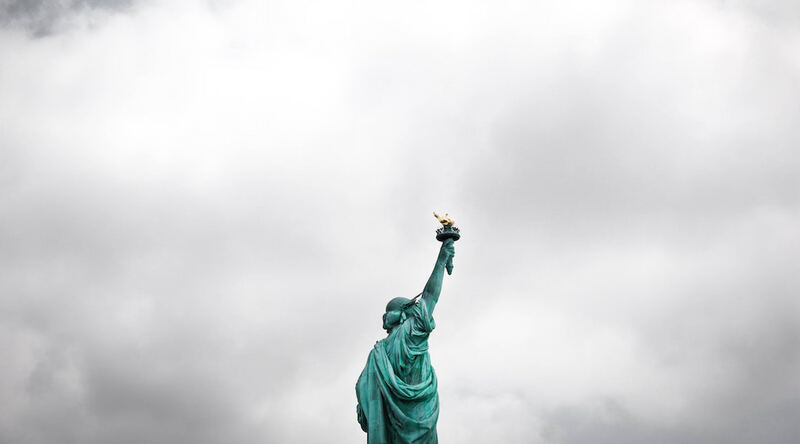 After years of ups-and-downs, I’m putting my self-care first and leaving New York City. A little distance will do us good. I can feel it already. There will be so many things that I don’t miss but, on the opposite side of the coin, there are a few I will be sorry to say goodbye to. Here are the 7 reasons why I’m sad to be leaving New York City. There are license requirements one must obtain to become an official massage therapist. This I know thanks to a quick Google search. I don’t know if Henry at Renew Body Wellness has a massage therapist’s license. Quite frankly, it doesn’t matter because he’s more of a magician anyway. The longest and healthiest relationship I’ve had with a man in the city is with Henry. Having clocked 4 beautiful years with him, I am unsure if any other massage will measure up to his. After every one-hour session with him, I am somehow dropped back onto the path the gods designed for me. I told you he was a magician, didn’t I? As a naive summer intern discovering the city, I remember meeting a boy in Union Square for our first date. We started at Virgin Megastore (remember that?!) before heading over to the Strand. As I walked through each stack on every available floor, I felt oddly at home. It was as if my eyes had opened and I could see color for the first time. Growing up, bookstores and libraries were my salvation. They continue to be even as a 30+-year-old adult. 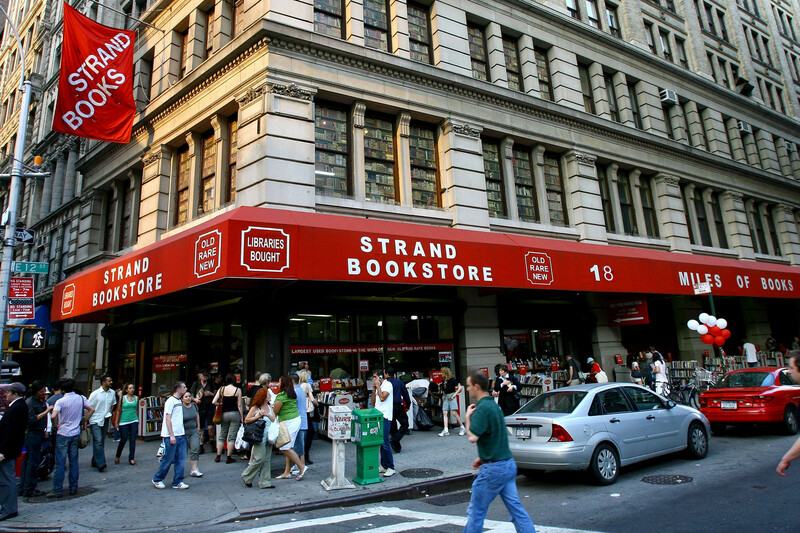 Without hesitation, I can say that there is no other place in all of New York City that holds such a special spot in my heart than the Strand. It is the main reason why I feel a pang in my heart when I think about not living here. “My friend, my friend! How are you, my friend?” Every time I walk into Expert Tailoring, more commonly known as Eddie’s, on the Lower East Side, I’m greeted with such warmth. For about a year, I lived in denial of having student loans and burned a giant hole in my wallet with retail “therapy.” I became such a regular at Eddie’s that he and his team would do extra work (ie: fix a loose button, strengthen a weak lining, etc.) for free. He even helped me customize my curtains for $10. Despite the fact that Eddie’s location was entirely inconvenient for this Brooklyn-dweller, there was no way I was taking my garments anywhere else. No, I’m not confused. I indeed meant to type ‘lower prices.’ Think about it! It’s total economics…I think. NYC has a ton of massage parlors, rideshare options, and [insert your business of choice], right? That means you’ll probably be able to find a spot that has good quality at a low cost. In Chicago, there aren’t as many massage parlors available and probably fewer people making appointments. Since all of the prices I’ve seen listed for a one-hour session, I’m guessing they have to charge a premium to cover costs. Listen, I don’t know if what I’m saying makes sense from an economic standpoint. All I know is that I love massages and go on a bi-weekly basis but I cannot afford $80+ every single time. My friend’s mom said it would now be my special once-a-month treat. My response to her? The bartenders at Blind Barber in the East Village are super cute but total jerks. The bartenders at Attaboy, a tiny speakeasy joint that keeps its front door locked at all times, are super cute and total gentlemen. They also make killer cocktails. On my first visit, I was asked what my poison of choice was and if I had any preferred flavor profiles. Being slightly thrown off, I cautiously shared that I liked gin and had been on a citrus kick as of late. The bartender smiled, walked away, and began making a cocktail born in his mind. What he set down in front of me was powerful while still being dangerously tasty. I never looked at a menu that night and, as I called out other random ingredients, my bartender transformed into a mixologist. I, in turn, left quite drunk and undeniably happy. Carine Roitfeld once said, “You have to love the camera.” While I’ve only become a total natural in front of the camera in my adult years, I have always been enamored with them from a viewer’s perspective. Photos seen in the glossy pages of magazines can excite me but a film can inspire. The cinema continues to be my personal escape and, for me, there is no better theater than the Angelika Film Center on West Houston. It’s where I cornered a filmmaker in the men’s restroom and pestered him about being interviewed for my blog (he agreed). It’s where I discovered my appreciation for indie flicks. It’s where I would go to cry after every heartbreak. There might not be assigned seats or a fancy food menu but the Angelika has two things the majority of businesses in New York City don’t: a heart and a ton of character. Let’s just dive in, shall we? Every single last one of you is a misfit rascal, okay? It’s ridiculous. I won’t name everyone in this post but please know that I see something special in each of you. You’ve made me a better person and there’s simply no way I could leave New York City without saying thank you and I love you. As I’ve already said, I might be leaving the city, but I am not leaving our friendship behind. Nestor and Jeremy! Good grief. Where do I begin? You both came into my life around the same time for very different reasons and I have never been the same since! You both have seen me at my worst (I’m talking about that night Brittany brought me home after only “2 Bud Light’s”) and at my best (which has been every day outside of the previous example mentioned). When I think about some of my favorite moments in the city, I’m not surprised to say you both pop up more than once. Sarah and Liv. 😭 You are two fierce women who know the true meaning of supporting others. People like you don’t come along that often. Oprah gave an interview about Gayle, and a lot of what she says rings true with ya’ll. Keep being incredible women! The world will be better for it. Goodbye, New York City. I don’t know when I’ll be back to visit but if you take care of everyone and everything I’ve mentioned here, I’ll be forever grateful. On that note, I’m going to end this post with a song that I listen to during any ‘important’ moment in my life.